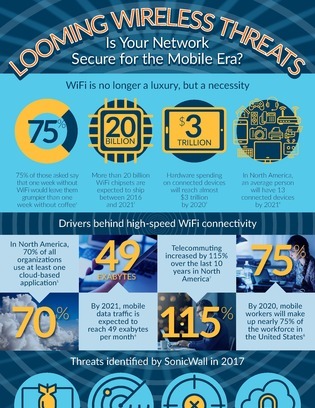 Looming Wireless Threats: Is Your Network Secure for the Mobile Era? At this point, it’s a universal truth – Wi-Fi is no longer the luxury it once was. It’s an absolute necessity for businesses of all shapes, sizes, and industries. But following on the heels of increased wireless adoption is a growing attack surface. In a world where there’s been a 101.2% increase in new types of ransomware being used to infiltrate enterprises, find out how to ensure a solid defense for your wireless networks.